Call 239-491-0422 to schedule your first appointment. Are you experiencing hearing loss? If so, Miracle-Ear® has the products you're looking for. Our hearing aid center in Naples offers cutting-edge hearing aids, and we're sure we can provide you with a style that suits you perfectly. As America's most recognized brand of hearing aids, we'll work to quickly improve your hearing. We have more than 1300 locations nationwide to serve you. Get ready to discover and experience the Miracle-Ear advantage. Your hearing aid will be equipped with industry-leading innovations, such as our new GENIUS™ Technology. GENIUS™ Technology will improve your hearing by seamlessly removing unwanted noises and focusing in on the sounds you want to hear. Customers who own smartphones can use our GENIUSlink and MEBluConnect Remote apps* for convenient control of the volume and other settings. Devices such as MP3 players and wide-screen TVs are compatible with our products via a Bluetooth® connection that enables wireless communication and dynamic audio adjustment. Jim Lafferty was born in Connecticut and grew up in Long Island , NY. He later moved to Vermont where he spent many years working with foster children. Best part of my experience was the specialist and receptionist. My experience was great. I now have the ability to hear! Thank you Mr. Lafferty for all your knowledge and helping me be able to hear better. I no longer have trouble with high pitched sounds. I can hear everything now. Thank you. I am very pleased with Miracle Ear hearing aids and very much pleased with the staff. Life is so much better all the way around. I would recommend Miracle Ear to everyone anytime. Thank you. The staff at this office is excellent. My Miracle Ear hearing aids certainly make a difference in my life. They make me feel normal. I would 100% recommend Miracle Ear to anyone who needs hearing aids. Thank you for your excellent services. I am very pleased with my Miracle Ear hearing aids. I enjoy everything now. They make a big difference in my everyday life. They are the first thing I reach for in the morning. I am happy with my Miracle Ear hearing aids. I would recommend Miracle Ear to my friends and family. Conversations are much more enjoyable now. This is a nice office. The best part of coming to Miracle-Ear Naples is how much they explained to me. I will absolutely be recommending! The staff at this office is caring and concerned with my hearing needs. I receive great help at all of my appointments. I am happy with the services they provide. I now enjoy conversations so much more, and have less need for others to repeat themselves. I no longer need the volume on the TV and radio up loud. I would recommend Miracle Ear to my friends and family. We live in a community where "poor" hearing is common. Since Jim Lafferty as always been helpful to my mom, I always keep a few of Jim's business cards available to give to people who ask where to purchase a hearing aid. I am happy with the outcome that I had at Miracle Ear. I left the office with a better understanding of sound. 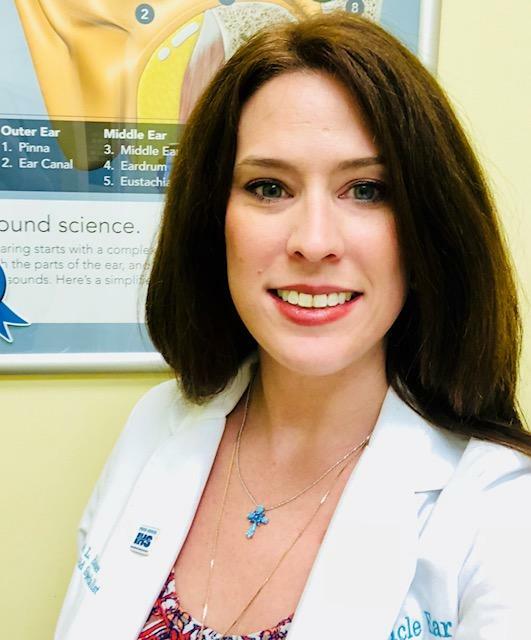 I would recommend Miracle Ear in Naples, Florida. I always leave the office happy. I left the Miracle Ear office with a better understanding of the importance of sound. I would recommend Miracle Ear to my family and friends. Excellent Service! I was very happy with the outcome of Miracle Ear. I left the office with a better understanding of the importance of sound. They answered all of my hearing related questions and made me feel comfortable. 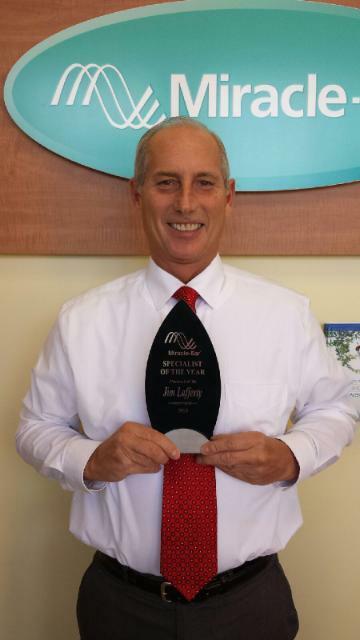 I find Jim Lafferty, the Hearing Aid Specialist, to be very professional. I was very happy with the outcome of Miracle Ear. I left the office with a better understanding of the importance of sound. I would recommend Miracle Ear to all my friends and family members. Jim Lafferty always fixes me up and takes care of my needs. Debbie is also very pleasant and takes the time to understand me. Miracle Ear hearing aids are the best. Jim and Debbie always take care of me. This office is very nice. I left the Miracle Ear office with a better understanding of the importance of sound. This location is great for us. Jim and Debbie always make time for me. I will recommend Miracle Ear to all of my friends.